As election day draws near, I have started sharing my views on the various local ballot measures. I recently mentioned to a friend I was opposed to Measure D, also known as the Citizens’ Plan. “Why?” my friend asked. I gave my reasons; my friend responded, “but Measure D doesn’t do anything bad. Have you actually read it?” “Not the actual initiative,” I said, “I’ve just read about it.” My friend urged me to read it, and I promised I would. I opened up Measure D and the supporting materials from the city’s independent budget analyst and city attorney. I read all of it with a very skeptical eye, not once but twice. Having done so, I have to admit that I was wrong. I am now enthusiastically supporting Measure D.
Why the change? After reading everything all the way through — twice — I could not find anything not to like about it. Measure D is fantastic because it puts the public first on all the big issues we face in our community. First, Measure D sets the local transient occupancy tax at no more than 15.5 percent, which is still below competing cities like San Francisco and Seattle, and according to the independent budget analyst will raise up to $95 million per year for the city’s general fund. That money can be used to fix roads, sidewalks, water and sewer lines; pay for more police and firefighters; and keep libraries and parks open. All of this happens with no financial risk to the city. Measure D protects taxpayers by requiring the hotel industry to pay its own way for a convention center expansion and the Chargers to pay their own way for a football stadium. There are no public subsidies for a stadium. Having money for infrastructure is great, and protecting taxpayers is too. But Measure D does one other thing that impresses me even more. As a graduate of San Diego State University and the recipient of the Distinguished Alumni Award in 2008, I have long understood the need for providing a place for SDSU to expand. 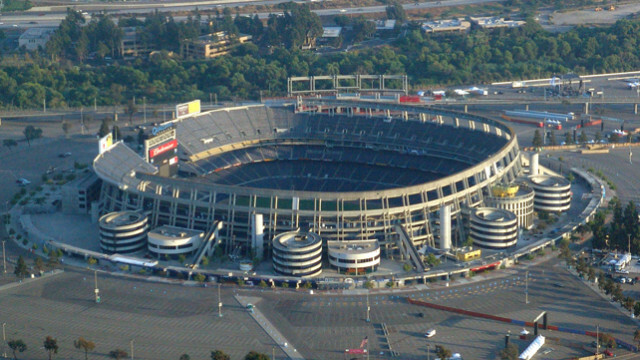 If the Chargers ultimately leave Mission Valley, Measure D authorizes the city to sell the stadium site for the limited purpose of park and open space and an expansion of SDSU; and if the Chargers don’t leave, everything they don’t need surrounding the stadium will still be available for parks, open space, and SDSU. Imagine the opportunities for public recreation and the boost to our local economy if the site became a park and second SDSU campus with high-tech research, science, and teaching facilities. I cannot imagine leaving a better legacy for our children and grandchildren. All of this is within reach under Measure D. I didn’t realize it before, but that’s because I didn’t take the time to read the language for myself. I encourage everyone looking for a way to improve our infrastructure without burdening local taxpayers, to make sure corporate interests pay their share for convention and sports facilities, and to do something big and exciting for future generations to read Measure D. It’s good public policy, and it’s good for our community. I urge everyone to vote YES on Measure D! 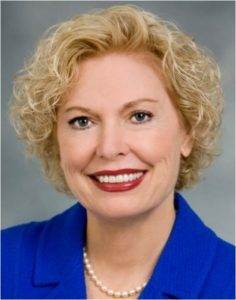 Pam Slater-Price was elected five times to the San Diego County Board of Supervisors and served for 20 years.